We believe that every woman deserves the right to make any decision about her sexual and reproductive health—free from stigma or discrimination, without having to ask permission, and without having to face barriers to access the type of care she would like at any time. But in this day and age, this feels like a wishful vision. The reality is that in discussions, laws, or policies about sexual and reproductive health, the “rights” piece of it is often neglected. Even those most impacted—trans* individuals, women of color, indigenous women, refugees, girls—are often forgotten. But Global Fund for Women’s grantee partners around the world haven’t forgotten. Instead they work hard every day to ensure that rights are front and center. Because for women, girls, and LBTQI individuals around the world, sexual and reproductive health is about far more than just access to services and care. It is about rights, empowerment, equality, and justice. It is about unlocking our full potential to live liberated, dignified lives where we have power and freedom. In Bodies + Rights = Power, we spotlight five Global Fund for Women grantee partners from different corners of the world—Uruguay, Palestine, Liberia, Nepal, and Brazil—addressing various issues of sexual and reproductive health and rights, like advocating to change laws and policies, educating and empowering young women, working for equal rights and access to care for LBTQI individuals, and more. Our Infographic on the Global Gag Rule aims to strip down this convoluted U.S. policy that threatens women’s lives and limits reproductive health rights globally through numbers and graphics, and clarify how it will affect women around the world—and how to take action. 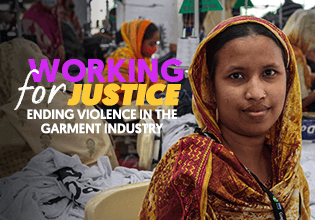 Explore the stories in Bodies + Rights = Power to learn more about how Global Fund for Women’s grantee partners are leading the charge to advance sexual and reproductive health and rights. 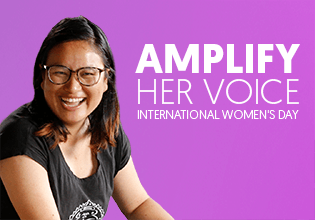 Share these stories using #MyBodyMyPower to help raise awareness of these issues and amplify women’s voices. 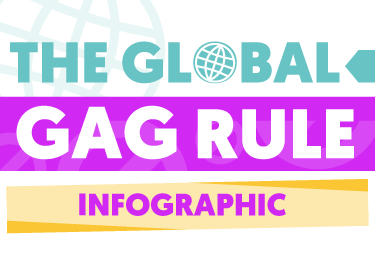 Share our Infographic on the Global Gag Rule to spread the facts and demand change. INFOGRAPHIC: How does the Global Gag Rule affect women? Infographic: What is the Global Gag Rule and how does it affect women's lives? Learn the facts and how to demand change. Aswat Palestinian Gay Women offers resources and support to LBTQI people in Palestine, while also fighting for Palestinian rights and women's rights. Beyond Beijing Committee takes ambitious global goals for sexual health and reproductive rights and brings them to the grassroots level in Nepal. Uruguayan feminists Mujer y Salud continue a relentless fight to protect women's sexual health and reproductive rights, against the odds. HOPE, Inc. is using sexual health and reproductive rights education as a tool to propel the next generation of girl leaders in Liberia. Abortion rights movements 'resist and persist' to drive change. Read the latest oped by Musimbi Kanyoro and Leila Hessini.